Have been designing and manufacturing performance camshafts and exhausts since the late 1960’s. Continuous investment in state-of-the-art machinery has kept us at the forefront of profile design. For some years now we have utilised CNC cam grinding equipment to complement our CNC workshop facilities, all of which allow us to hold the very closest tolerances. CNC Landis machines will grind not only cams for use in Le Mans, WRC, Touring Cars, NASCAR, Indy Car, British and European Rallycross and Hot Rod, but also most of our fast road profiles as well. The same in-house design facilities and CNC machines are used to produce our huge range of performance road cams to the same exacting standards and with the same amount of success. This means the superior quality of our cams will be available to everybody whether you drive a NASCAR or a Nova! 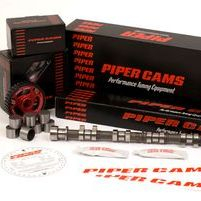 Piper Exhausts is part of Piper RS Ltd and a sister company of Piper Cams, one of the oldest and best known cam manufacturers in British motor sport. Piper has been producing exhausts for over 20 years and its range covers most of the popular cars released over that time. 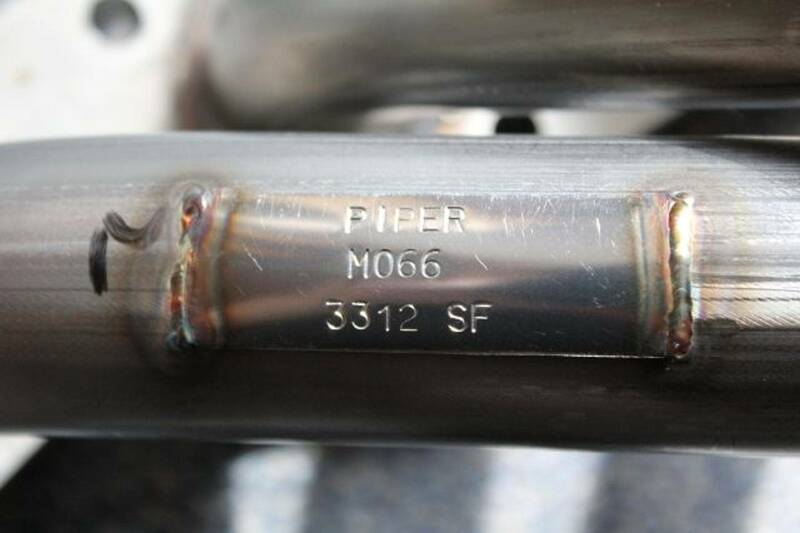 Piper can offer exhausts made from T304 aircraft quality stainless steel. All have been designed with both performance and style in mind. The same flow bench and R&D facilities as Piper Cams are used when developing new exhausts, to ensure maximum performance. Piper Exhausts are renowned for their unparalleled choice of tailpipe style options and the ease of fit of their systems. This, and their exceptional value for money, makes them the choice of both professional fitters and DIY tuning enthusiasts alike. 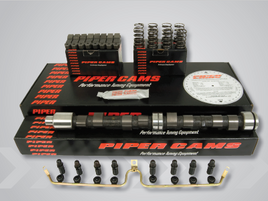 Piper Cams have been designing and manufacturing performance camshafts since the late 60's and are still at the forefront of profile design. 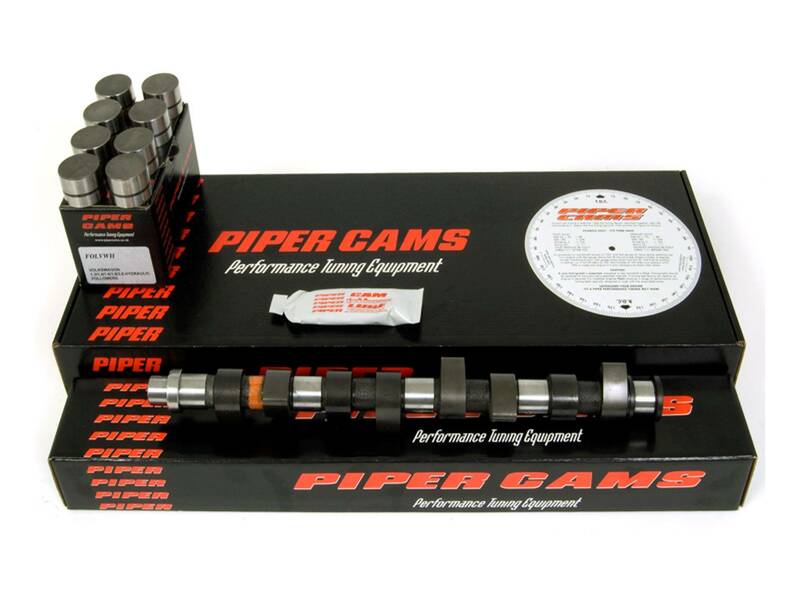 Many of the worlds leading motorsport teams trust Piper for their choice of camshaft manufacturer and you can be sure that you get the same superior quality. 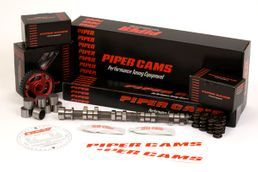 For this reason the team uses Piper Cams in its race and track day engines. 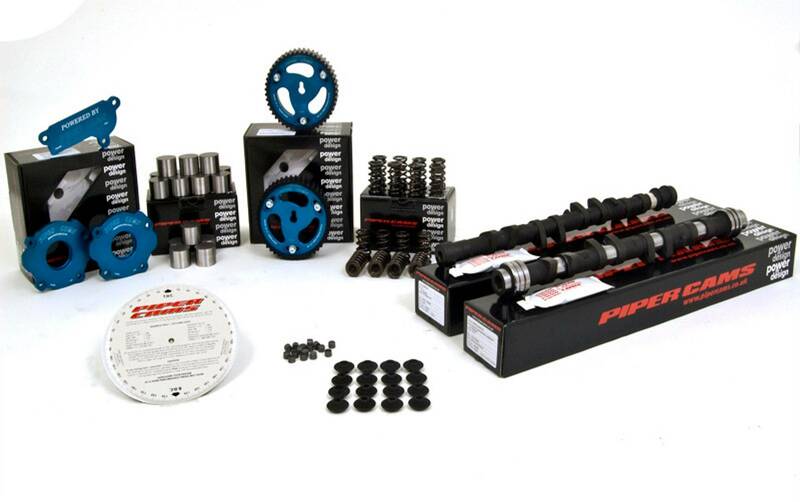 Piper camshafts are available in a range of different profiles which offer different engine characteristics and power curves. This enables you to choose the right profile to suit your needs whether it be a fast road profile for smoother power delivery at low RPM or a full race profile for high revving competition engines. 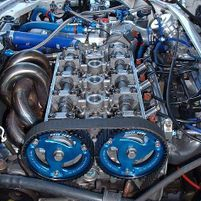 The quoted power bands are a generalisation and will alter from engine to engine. We use Piper Exhausts on the team race cars for both systems that are cat back, sports cats and manifolds. As with Pipers Cams all items are flow tested to maximise performance. 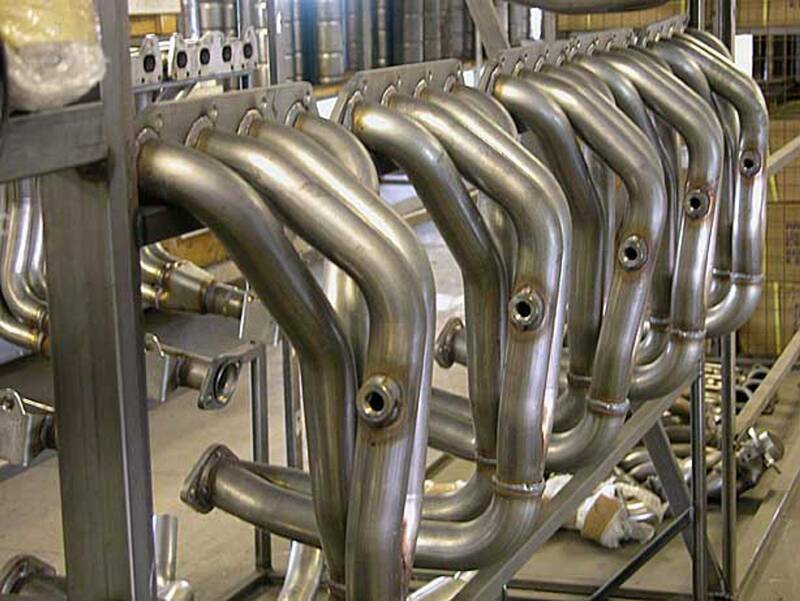 Piper Performance Exhaust Manifolds are constructed from stainless steel for long lasting durability. They have been designed to increase performance and are ideal for use with a Piper full exhaust system. Piper Performance Exhaust Systems are available with a large choice of tailpipe options and are constructed from stainless steel for long lasting durability. 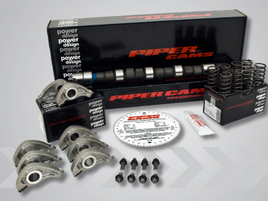 There's a huge range available meaning there's a Piper Performance Exhaust System to suit all requirements. Piper Performance Exhaust Systems are designed with attention to detail in mind - high quality design and construction for improved performance, sound and stylish looks. T304 stainless steel construction throughout means that Piper can offer a limited lifetime warranty on all their stainless steel exhaust systems. Contact Peter@vulcanracing.co.uk for a quotation or visit our webstore which shows a selection of the range offered.